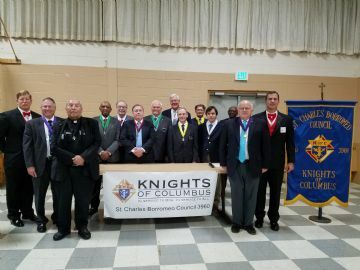 The Fraternal Year 2018 - 2019 Officers are installed. 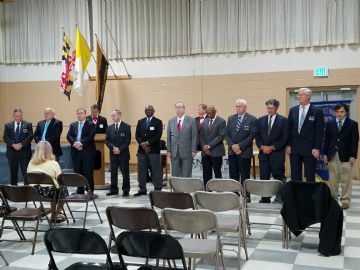 The District Officers, the Worthy Chaplain and the Officers of Council 3960. 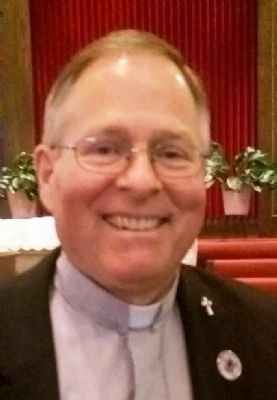 The Fourth Tuesday Rosary starting this month on February 26th will be at the Main Holy Family Church. The start time remains the same at 7:00 PM. All four mysteries are prayed and it takes about one hour. You can stay for as long as you want.